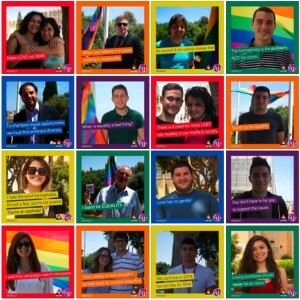 2014 was a landmark year for the International Day Against Homophobia and Transphobia in Malta. 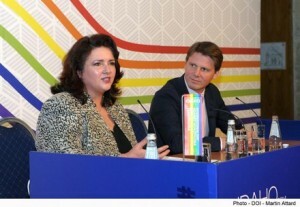 The major event of the year was of course the 2nd annual International IDAHO Forum being held in the country, on May 13-14, featuring the participation of the Maltese Prime Minister, high level ministers from various countries, and LGBTI rights advocates and civil society organisations from across Europe. The University of Malta also organised a significant particpatory photo campaign. This 2nd annual IDAHO Forum was held under the theme: ‘Responses to Homophobia & Transphobia at the National, European & International Levels’. Various high level ministers and national level politicians participated in the conference, which also featured the participation of the Prime Minister of Malta. Many civil society organisations from the international LGBTI rights field were also represented at the conference, including ILGA-Europe, TGEU (Transgender Europe), ORAM International and the IDAHO Committee. Key international institutions and agencies were also be represented, including UNESCO, the UN Office of the High Commissioner for Human Rights, the EU Fundamental Rights Agency, the Council of Europe, the Intergroup on LGBT Rights of the European Parliament, and the European Commission. Helena Dalli (Minister for Social Dialogue, Consumer Affairs & Civil Liberties, Malta) and Erik Ullenhag (Minister for Integration, Sweden) speaking at the 2014 IDAHO Forum in Valletta, Malta. 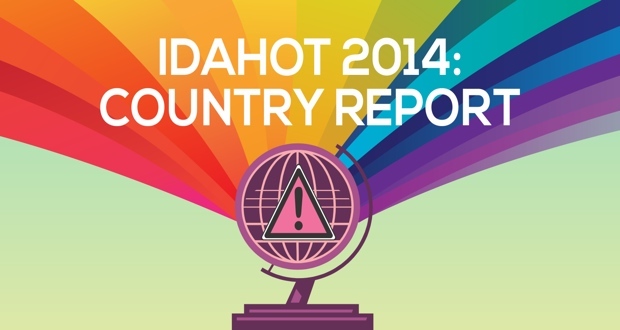 Key outcomes included the signing of an IDAHO declaration of intent – a 12-point plan and commitment to defend LGBTI rights, which can be read in full here (pdf download). A full list of the ministerial signatories to the IDAHO Declaration – representing 17 states – can be found here. This event is ultimately about the Europe that we aspire to live in. Having so many countries represented, especially at Ministerial level, augurs well for what we are trying to achieve. We need to stamp out homophobia and transphobia once and for all. Such a goal cannot be achieved easily. We must work together. I’ve heard people say that lesbians, gays and transgender people shouldn’t be given special rights. I have to agree with them. They don’t deserve special rights. They deserve the same rights as anybody else. Nobody should be turned away from a job because of their sexuality. Nobody should face intimidation or violence because of who they are. And no government should turn a blind eye to prejudice in society. We are building a better Malta. I am certain of that. And to other countries I say: throw away your prejudices. You’ll be surprised at how good it will make you feel. In a Betapsi Malta & We Are initiative, students, MEP candidates, lecturers and international activists at the University of Malta had their photos taken, to take a collective stand against homophobia. At least 57 people had their photos taken, and 52 posters were made. Below is just a snapshot – You can see larger versions of each here.